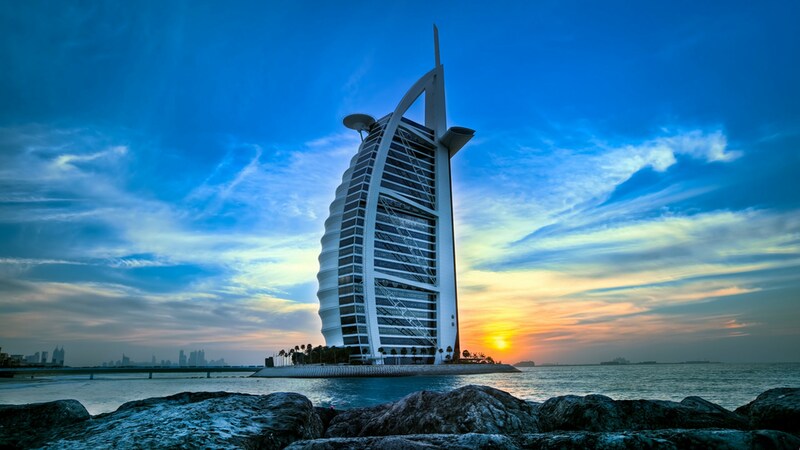 The Silk Road is a famous historical network of interlinking and intertwined trade routes that once crossed the Afro-Eurasian landmass and at one point in time connected East, South and West Asia with Europe, the Mediterranean and some parts of East and North Africa. Ferdinand von Richthofen, an eminent German geographer, gave these trade routes their name in 1877 because silk comprised the largest proportion of trade along this famous, and now once again traversable, trade route. A custom tour along the Silk Road in China will generally entail travelling from Xian to Dunhuang and back again, though if you want to travel slightly farther afield, or travel to some alternative destinations to the four discussed below, that won’t prove a problem if you work with a creative and reputable tour company to create the perfect custom China tour. 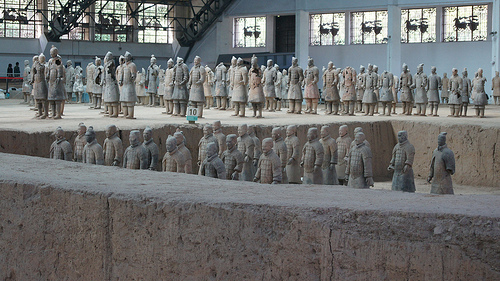 The top places of interest in Xian, a city with over 3100 years of history, are the Mausoleum of Qin Shi Huang and his Terracotta Army, which are located 40 km to the east of the city centre. 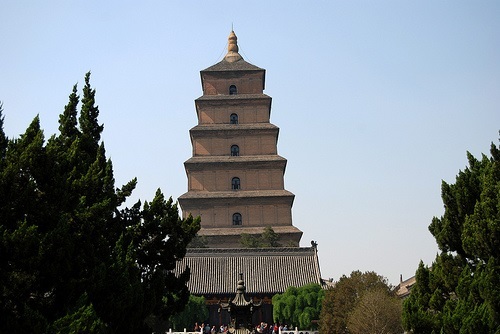 Another interesting places to see are the Giant Wild Goose Pagoda and Small Wild Goose Pagoda, both of which are spectacular towers and are well over 1000 years old. Xian’s well-preserved city wall, which was based on the imperial palace of Tang Dynasty and re-constructed in the 14th century during the early Ming Dynasty, and the Huaqing Hot Springs at the foot of Mt Li. These spectacular hot springs have a history of 6000 years with the adjacent Huaqing Palace boasting a recorded history of 3000 years. 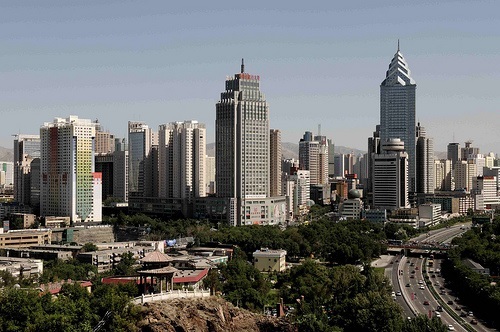 The capital of Xinjiang Uyghur Autonomous Region, Urumqi boasts many places of interest and is one of the most famous cities in the Chinese territories of the Silk Road, making it a prominent city to feature on a custom Chinese tour. 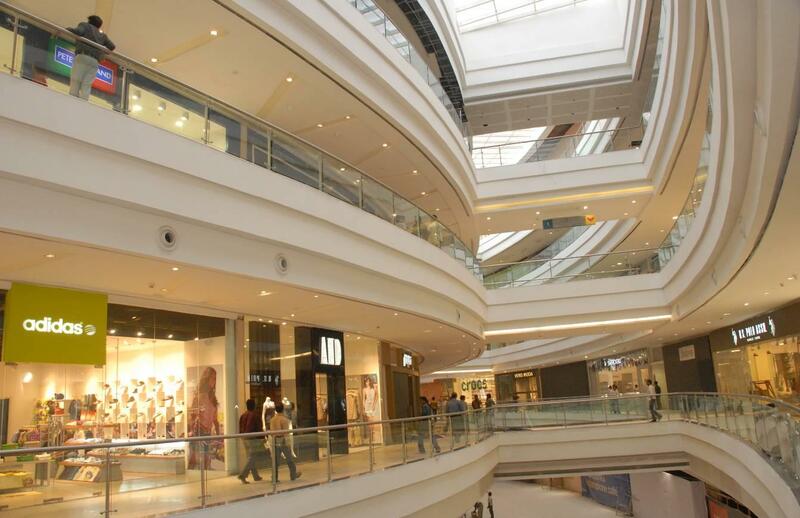 The International Grand Bazaar Xinjiang, an extraordinary Islamic bazaar, is the top tourist attraction in the town, along with the Heavenly Lake Scenic Area, a place of immense natural beauty and a sight not to miss when travelling to or through Urumqi. 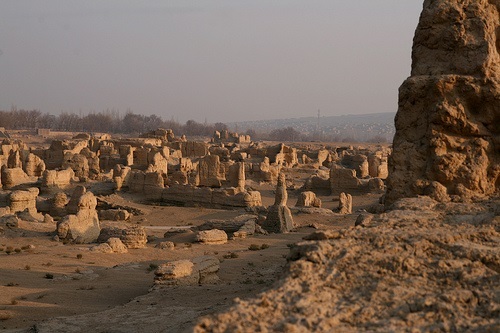 Also located in the Xinjiang Uyghur Autonomous Region and about 150km from Urumqi, Turpan was for many years one of the most important trade centres along the Silk Road and the water in its famously fertile oasis is provided the noteworthy Turpan water system. There’s some extraordinary Islamic architecture to behold in this city of approximately 250,000, with some of the most noteworthy examples represented by the Emin Minaret, also known as the Imin Ta, which stands by the Uyghur Mosque. At 44 meters it’s China’s tallest minaret but it’s worth visiting for more than its height as it’s a beautiful sight to behold in the seemingly desolate landscape. Another place of interest that tourists might like to include on their custom China travel tour is the Bezeklik Thousand Buddha Caves, a complex of Buddhist cave grottos that date from the 5th to the 14th centuries. Located in north-western Gansu province, Dunhuang is, for most tourists, the final stop on their custom Silk Road tour before heading back to Xian where they started. Dunhuang is another city with a rich and lengthy history and there’s evidence of human habitation dating back at least 4000 years. 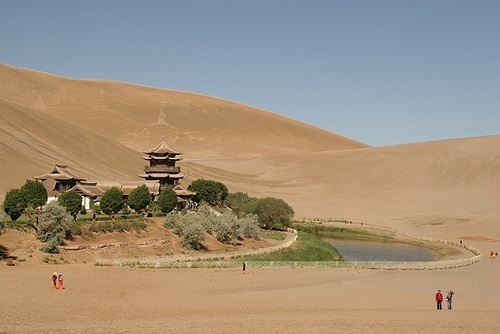 There are some wonderful historical places of interest in Dunhuang, including the stunningly picturesque Crescent Lake, a crescent-shaped lake in an oasis, the Yumen Pass and the Yangguan Pass, the White Horse Pagoda, the Mogao Caves, of which there are 735, and the Western Thousand Buddha Caves. Both cave sites have been known as the ‘Caves of the Thousand Buddhas’.